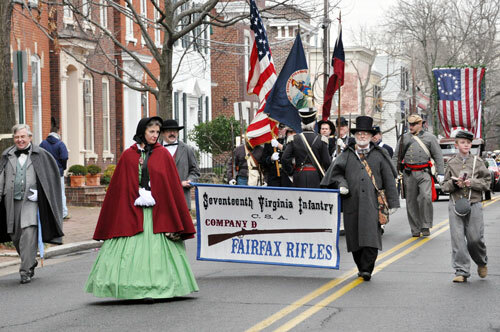 Members of the Fairfax Rifles waiting for the parade to start. "Extra Billy" Smith (Dave Meisky) is hatless at left. 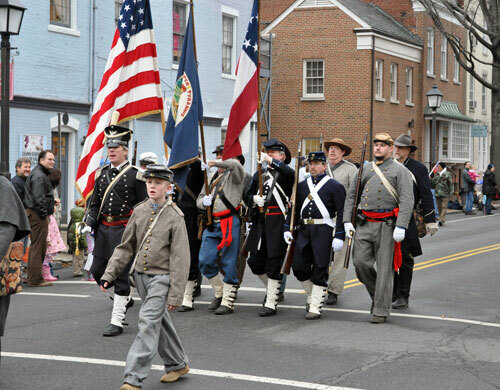 Captain Hoehne, wearing his famous leather shako, leads the color guard. 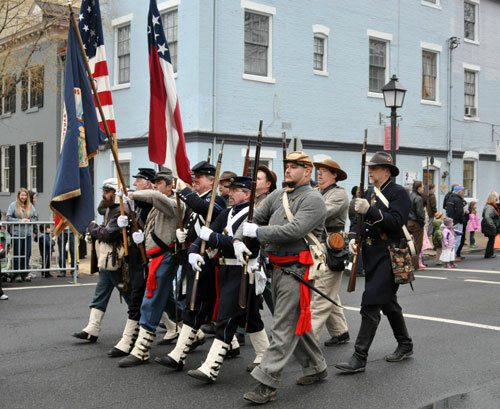 The color guard, wearing both pre-war militia and wartime uniforms, march in style. 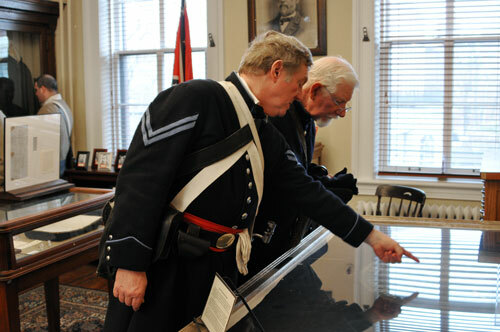 Militia Corporal Bill Lacy points out a feature of an original Virginia flag to Private Hunsaker. 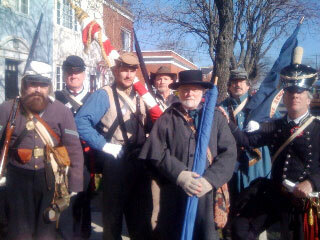 The flag is housed in the Mary Custis Lee-17th Virginia Infantry Chapter - UDC Museum. Site Design by Stephen Wolfsberger Last updated March 5, 2012.